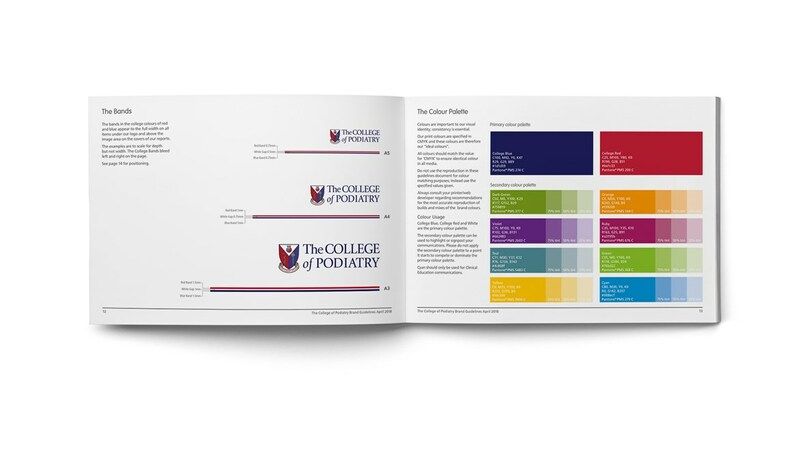 The College of Podiatry is a membership organisation representing 10,500 foot healthcare practitioners in the UK. 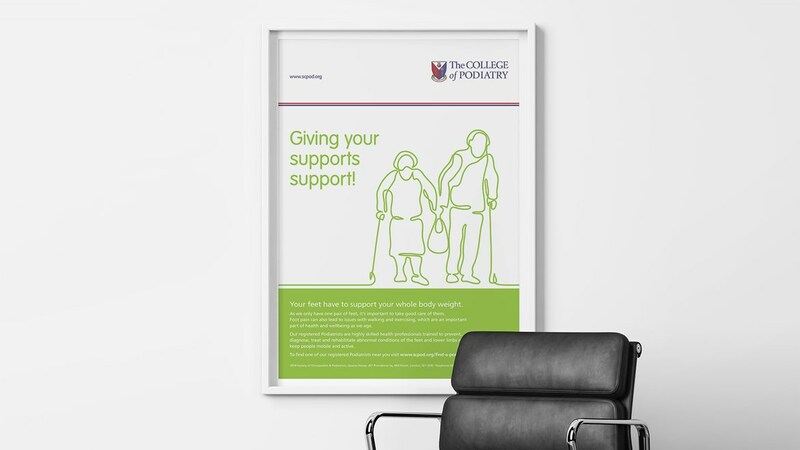 The College represents, informs and supports its members through various communication channels including a magazine, a web site, an annual conference, various publications and policy documents and practitioner training. Through time, the College’s media had become diverse and inconsistent in style. 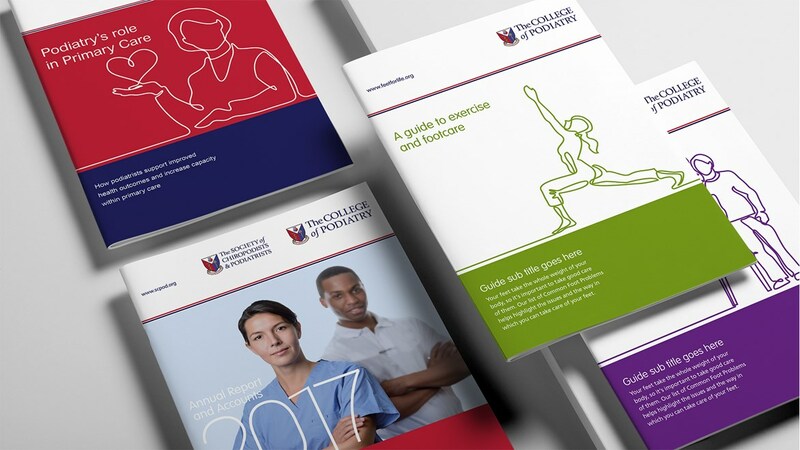 Liz North, Director of External Affairs, asked Redfern to create a fresh and consistent look and feel across all media, produce an identity guidelines and provide design templates for the College’s in-house publications team. 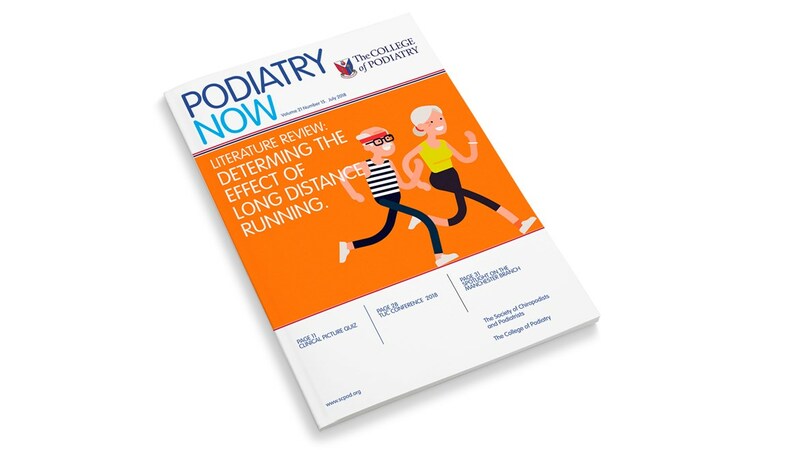 We created a simple and practical look and feel that featured a ‘feet on the ground’ horizon line running across all communications. 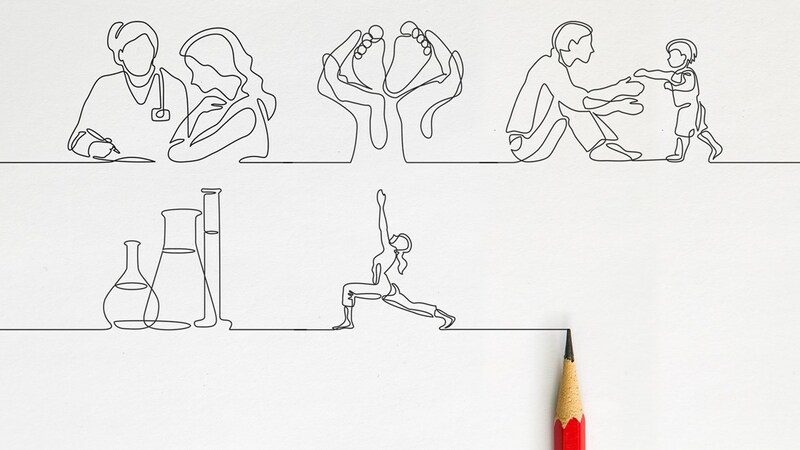 The illustration style is a simple unbroken horizon line that leaps into the air and creates people and objects pertinent to the communication subject. 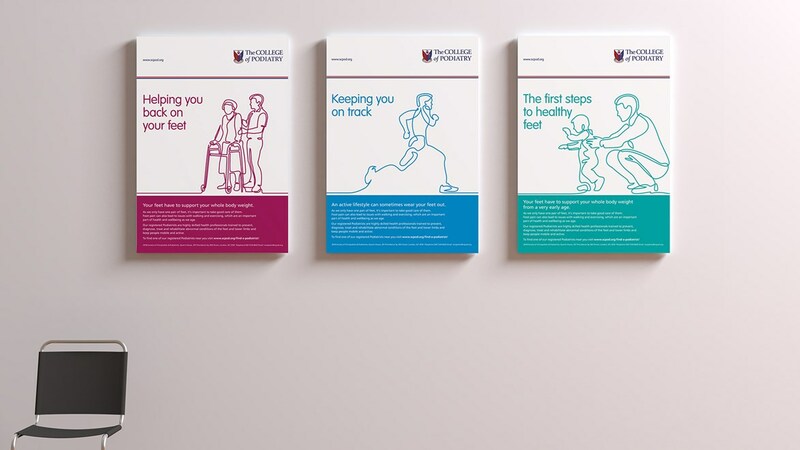 Our designs included an entire suite of literature, reports, white papers, magazines and practitioner in-surgery support materials. We created and easy to use identity guidelines for the in-house publications department. 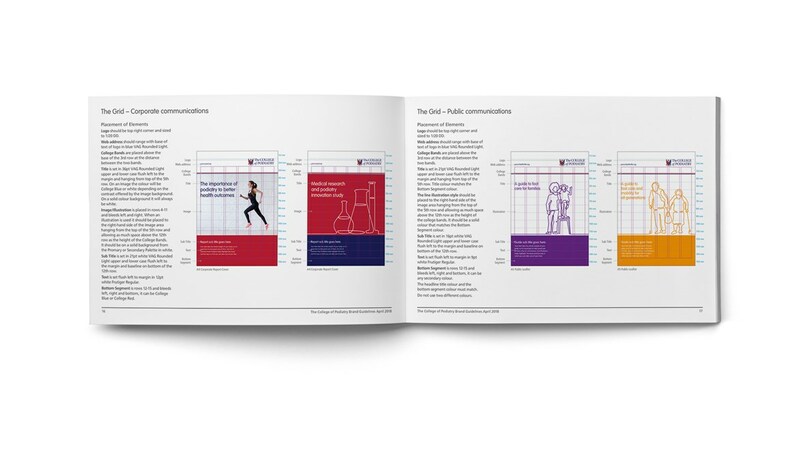 The guidelines included specification for typefaces, colours, use of the logo photography and illustration style and how to layout publications. Redfern took the time to discuss our strategic objectives and understand our positioning as an organisation and our needs. They carefully established a look and feel for our publications for different audiences and then went on to provide a flexible, easy to use brand and visual guidelines for our in-house designer and third parties. 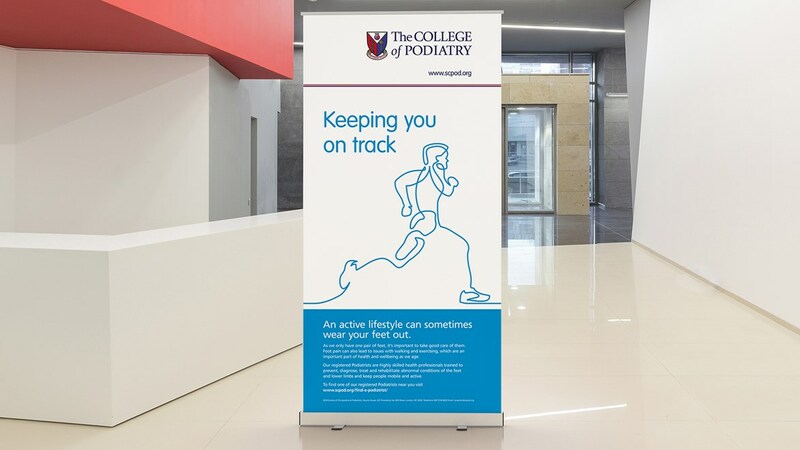 The result is a refined and refreshed visual identity and a more consistent and coherent suite of communication materials from the College that has been applauded by members, staff and stakeholders.